Making your own cookies is easy and a great satisfaction. They taste just as good as the ones you buy from the shops, if not better! And because you made them, and you made them with love, you can be sure there are no nasty ingredients like palm oil, which is almost inevitable in all the prepaked bakery products. With this recipe, you can cut down on a lot of other things, too, without compromising on taste. Actually, being able to bake chocolate chip cookies without any eggs or butter can make you feel even better about eating them. And if you enjoy baking with your kids for fun, you will love this recipe that allows to mix, splash, taste and lick in total safety. 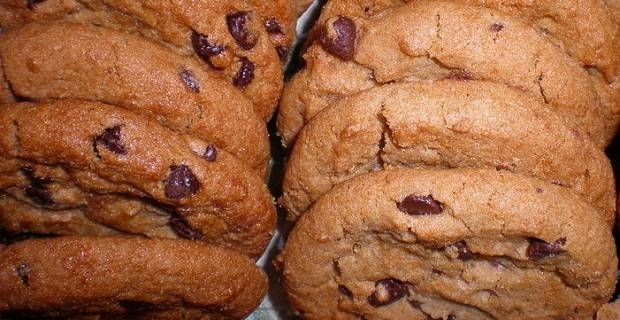 This vegan chocolate chip cookies recipe makes 8-10 large cookies. Preheat oven to175°C. In a bowl, sift both flours, baking powder and baking soda. Add the sugar and salt, and stir until well combined. In a separate bowl, mix molasses, vanilla and maple syrup, then slowly stir in the oil, keeping on mixing until well combined. Pour this mixture in with the dry one, also adding the chocolate chips, and stir the lot in until just well combined- as with all the cookies recipes, it's important not overmix at this stage. Line a baking sheet with baking paper and place the batter on it in large spoonfuls, flattening a little. Bake for 10-12 minutes, until just golden. Let the cookies to cool on the sheet for a little then transfer to a cooling rack. Now taste the result. If you are not vegan, how do you find these cookies? Are the non vegan ones so much better, or do you hardly notice the difference? I find baking only with vegan ingredients a little miracle myself: I hardly notice any difference and it just makes me feel so much better about enjoying something I prepared with ingredients that didn't involve any suffering or animal exploitation. And these also happen to be the easiest recipes to share with your kids. 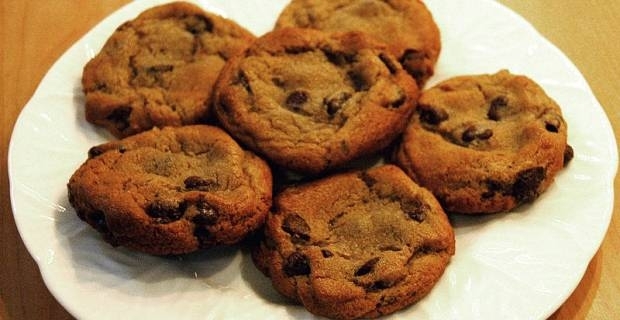 Enjoy our chocolate chip cookies recipe, it's good from all point of views!